The most recent Jordan 7 to release was the Marvin the Martian, in which portrait a commercial character utilized to promote the sneaker in the 90's. The next inspiration has arrived, although this shoe has appeared on commercials and the movie "White Man Can't Jump", both alike did not have as much impact as the McDonald's multiple story line commercials of 1992. The fast food industry needed a major pull into sales, what better way to do so then support from Michael Jordan and Larry Bird. Two major NBA superstars that had earn respect of the love of the game, for their ability to shoot the Jay. In the commercial Bird and MJ competed to see who would make the most difficult shot by off bouncing from different surfaces but still make a nothing but net throw. A major unforgettable theme of the commercial was the 80's throwback sweater used by Mike on the recording. This release will be a historic commemoration and a personal one for all Jordan enthusiast. This Retro's will hit the base on full white leather, and comes with a multi color bottom sole. Hits of purple, red and black hit the mid-sole, while the inner lining plays on red. it will stay solid on the tongue and lacing with a full black, and the Air Jordan letter branding on the tongue. The classic 23 jersey number on the back hell, and red pull tap. Finally will have a sweater print with custom fabric on the upper body on the inner and outer side of the sneaker. Grabbing a piece of history can never be a bad idea, and any 80's or 90's OG sneakerhead will be up this bad boys. Look for this to hit both our Long Beach and San Pedro Stores, on Saturday November 14th on a first come first served basis. Doors open at 10 am. Thanks to Edwin G Hernandez for keeping up with the blog. remember to Like, Share, & Comment. Stay Fresh ! 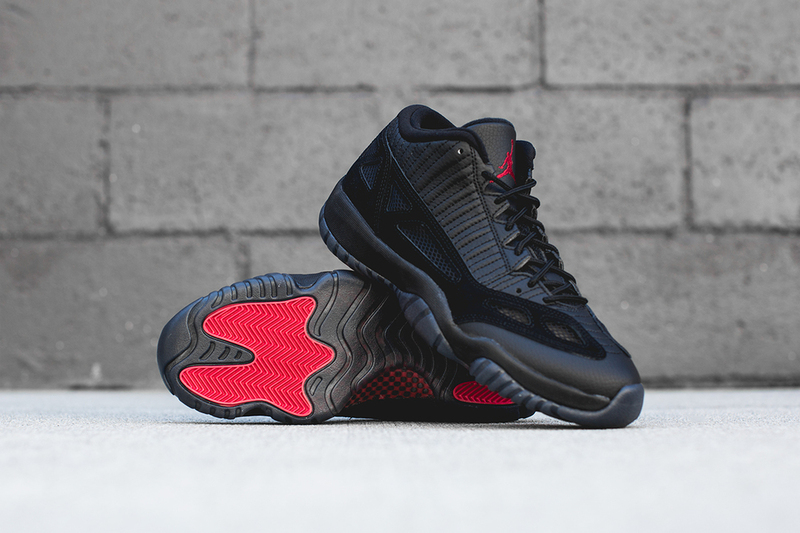 Air Jordan 11 Retro IE Low "Referee"
originally released exclusively for referee's during the 1996 NBA season, then we saw a sneak peek when they released to friends and family. They where finally debuted by Chris Paul during a Las Vegas USA mini camp. 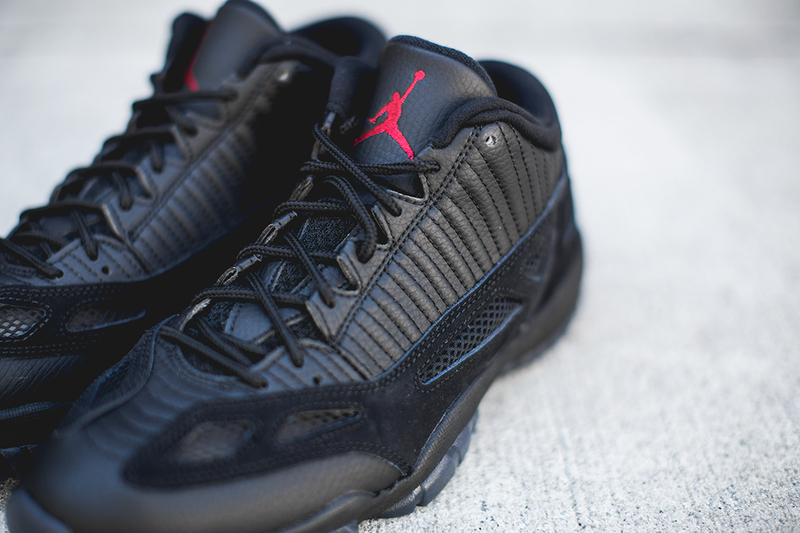 The sneaker is finally available to the public this coming weekend and the 11 Low is turning heads and opening wallets. With a nice leather body this sneaker is a must for the fall afternoons. Refs make the games go round and round, but with this sneakers they will make all sneaker heads turn round and round. Make sure you cop this amazing solid kicks that will be available exclusively at out Long Beach location. Thanks for stopping by our shop remember to Like, Share and Comment. Stay Fresh ! Air Jordan 6 Retro Low "Ghost Green"
Jordan brand introduces a new color scheme for the Retro 6 lows, the ghost green or aka seahawks. As Jordan fines new color schemes to keep Jordan up to date. Their will be misunderstood concepts. But i will call these the Slimer's. The design drives inspiration from the famous 1980 movie Ghostbusters and the villain Slim. It will be a perfect pick up to rock this Halloween season. 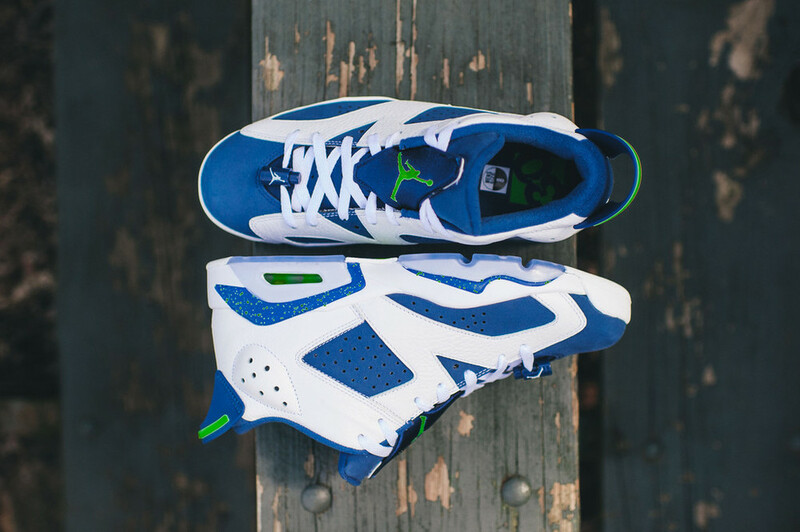 This 6's come conducting a leather white base with hits of suede iguana blue on the side panel. An accent ghost green will hit the portion of the sneaker including the pull tab and the air pocket bubble. Hits of translucent on the bottom sole and a matching blue green lace lock. Slim for halloween or Seahawk fan don't miss out on supporting or trick or treating with these joints. Thank you all for stopping by and checking out the Blog. Make sure you call our Long Beach location to place your purchase or contact San Pedro tomorrow (contacts above). Thanks for stopping by out shop remember to Like, Share, and Comment. Stay Fresh ! Air Jordan 11 Retro IE Low "Croc"
The 11 Lows come back this year with OG models and new concepts, like this amazing Lagoon Croc. As Jordan continues it"s 30th celebration, he has not stopped back to back throwing heat. 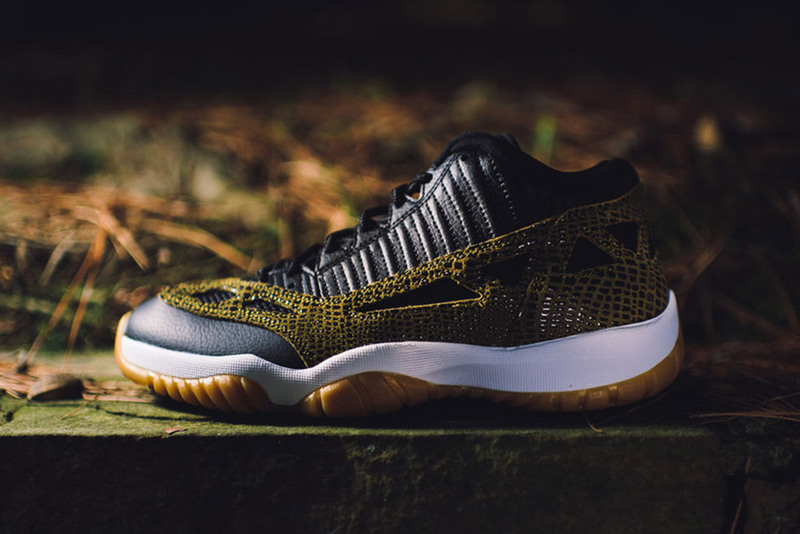 This 11 low release is no exception, giving a reptile brown look that will be a quick color to pull out during fall. Better get on these IE 11's quick and don't regret not having them in the closet for years to come. Build on a solid premium leather black base, the 11 IE Low come reinforced with a Croc reptile overlay around the top of the shoe, with matching Jumpman logo coloring on the tongue. Carbon fiber inner arch in red and black and finishing with a smooth Gum Sole. This sneaker will fly off the shelves sooner then you realize. So call our Long Beach location to place your purchase or contact San Pedro tomorrow (contacts above). Thanks for stopping by out shop remember to Like, Share, and Comment. Stay Fresh ! The Retro 6 Infrared concept as seen in 2014, returns this year in a low form. Although the Lows differ from the Mids by a black midsole and tongue, many anticipate on this new look. Just as the summer heat arrives, these Infrared Low are the go-to shoes. First adopted in 1991, the Infrared color is the highlight of the shoe. And just in time for Independence Day, the white and Infrared colorway is a perfect addition to any festive outfit. Retro 6 in Low is the first model to be released, and with many more to arrive, keep it locked for future releases. These shoes are by raffle entry only and distribution ends Thursday 7/2 at closing time. For full details contact a store by clicking contacts above. Remember to Like, Share, and Comment. Stay Fresh! The Hybrid model of the Jordan brand continues releases on different color ways. This next installment will bring a POINSON GREEN tone or also know as the poison frog. Jordan brings an inspirational shoe that focuses on the poison dart frog colors, in which we see where the Red/Purple/Grey/Green/Black/White and so on. One of the most unique Spike Lee models to launch in years. Don't miss out on a one of a kind no custom model. Forest Humidity hit Private and all the Frogs are out, don't forget to call a local store to order over the phone and check size availability by clicking on contacts above. Remember to Like, Share, and Comment. Stay Fresh !